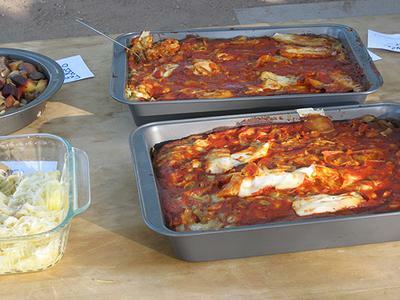 Tucson Arizona's Citizens for Solar is holding its 32nd Annual Solar Potluck on April 26, 2014 at Catalina State Park. 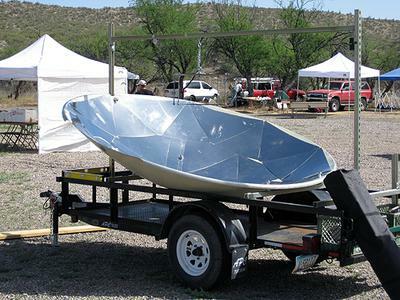 The Solar Potluck is the longest continuously running solar event in the world. 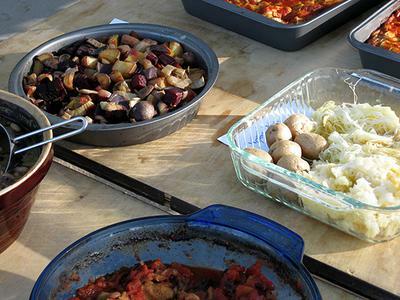 The Potluck features dozens of solar cooks who prepare food throughout the day. At about 5:00 we have a potluck dinner featuring the food the we've been cooking all day long. There is always a huge selection of food ranging from meats, vegetables, casseroles, soups and desserts. Over the course of the day, we'll have speakers talking about "green" topics, such as home energy conservation, solar PV, solar hot water, composting and other topics. We'll also have musicians performing on a stage powered by solar PV. We'll also have exhibitors, including electric cars brought by the Tucson Electric Vehicle Association. 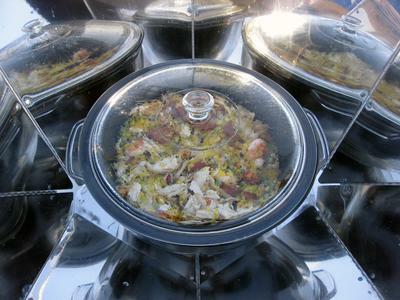 You can even win one of several solar cookers (including a SHE Hot Pot generously donated by Nathan at CantinaWest) in our raffle. Raffle proceeds fund our community service projects. The Solar Potluck is free* and open to the public. It is a great family event. Citizens for Solar is an all-volunteer 501(c)3 non-profit group. * $7/vehicle fee to get into Catalina State Park.